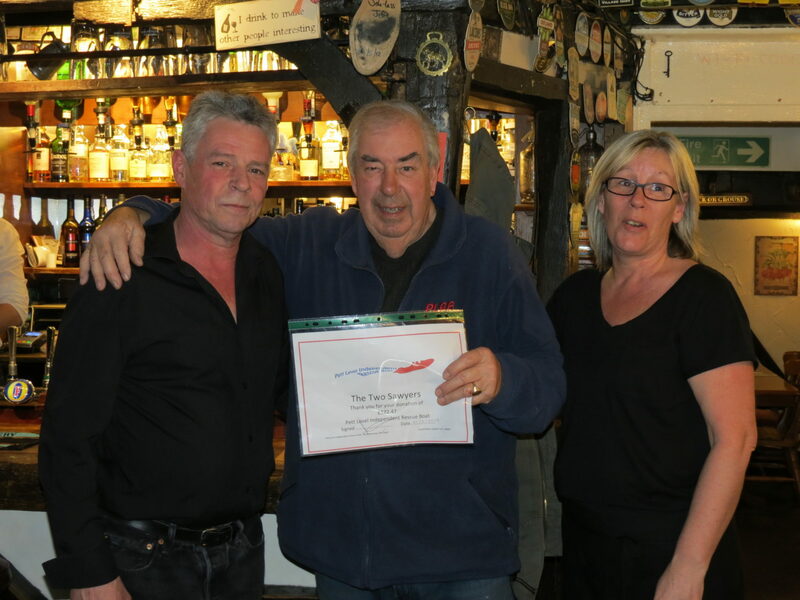 £500 to the Armed Forces Bikers, who marshalled the event. £500 to the Sussex 4×4 Response team, who supported the procession and the event. 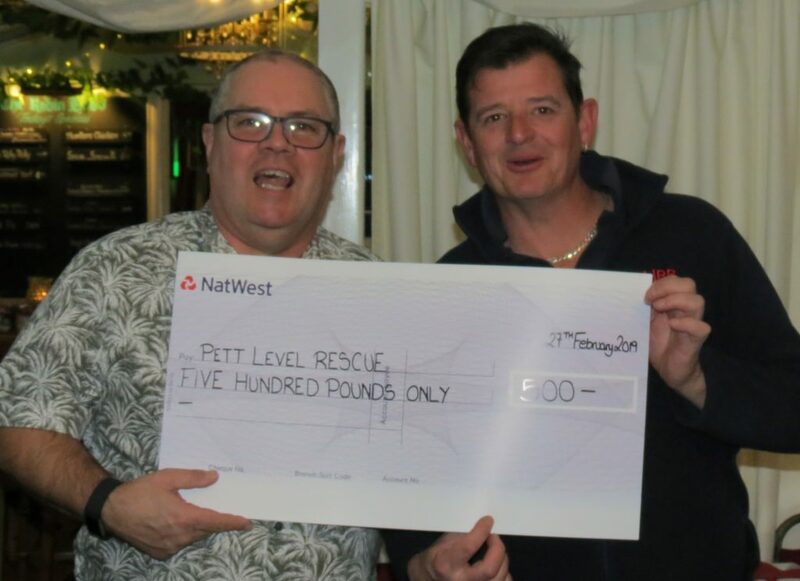 £500 to the Pett Level Independent Rescue Boat, who staffed the First Aid tent at the event. 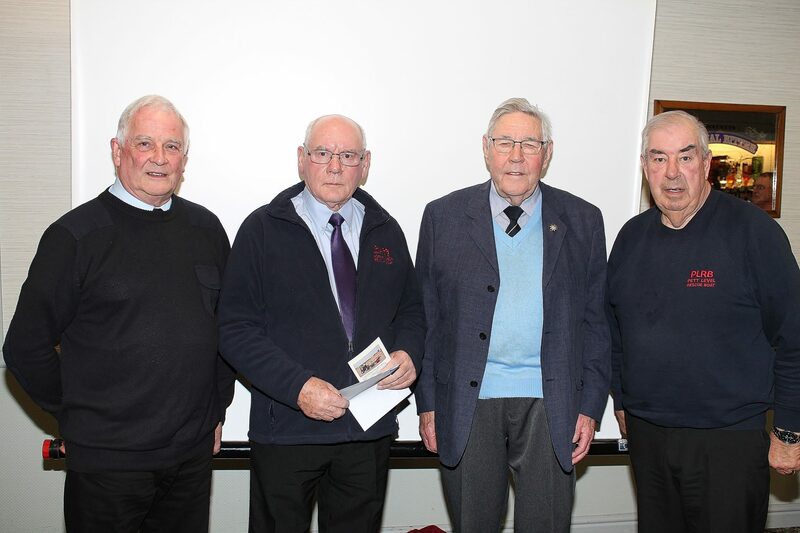 £450 to Snowflake Shelter – a special donation for a hard-working local cause, with funds raised from the RHBS Christmas Raffle. Then it was time for a surprise presentation highlight – £1,000 donated to Icklesham Primary School. 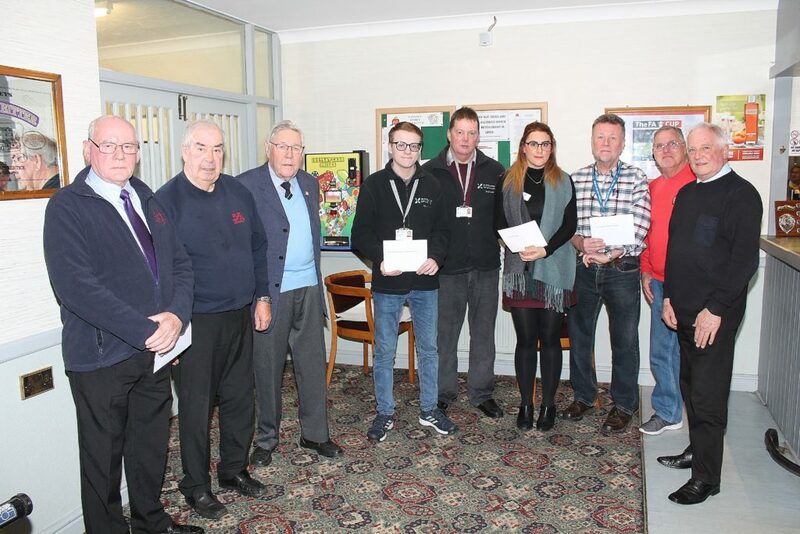 These funds were donated specifically to help with the running costs of the school pool, and to subsidise the cost of swimming for families. The cheque was presented to Jo Barry who works at the school and manages the swimming – and also happens to be PLIRB secretary and member of the PLIRB crew. Members of the PLIRB team enjoying the donation! ctivity then moved on to refreshments and a Music Quiz evening, with a cash prize up for grabs. Of course, the PLIRB crew performed with great enthusiasm and effort – plus a not too shameful extent of knowledge across the team – and finished in 3rd place. Our favourite was the lego album covers round, by the way! First place and the cash prize went to one of the RHBS teams (one of whom is also a member of the PLIRB). 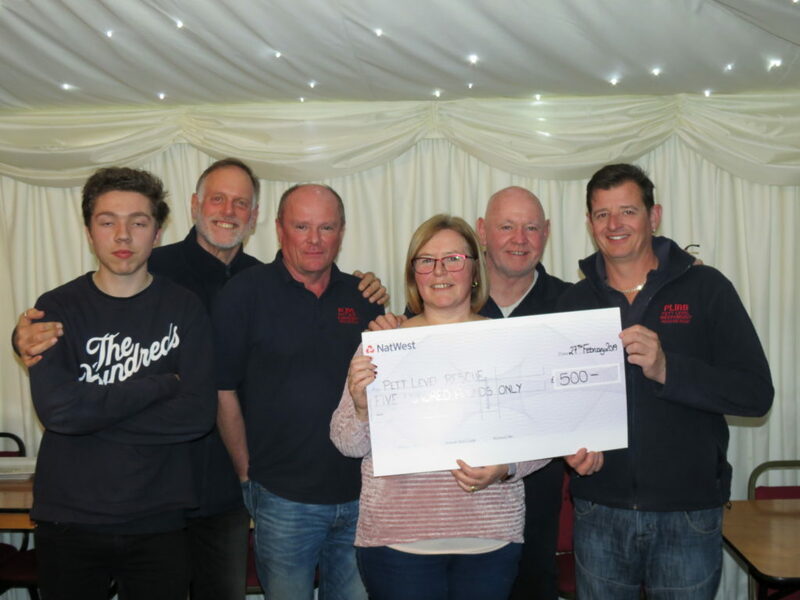 The warm and sharing nature of the evening was really reflected in the fact that this team immediately split the prize between the causes who had come to the event – a wonderful gesture and a brilliant extra donation for us. 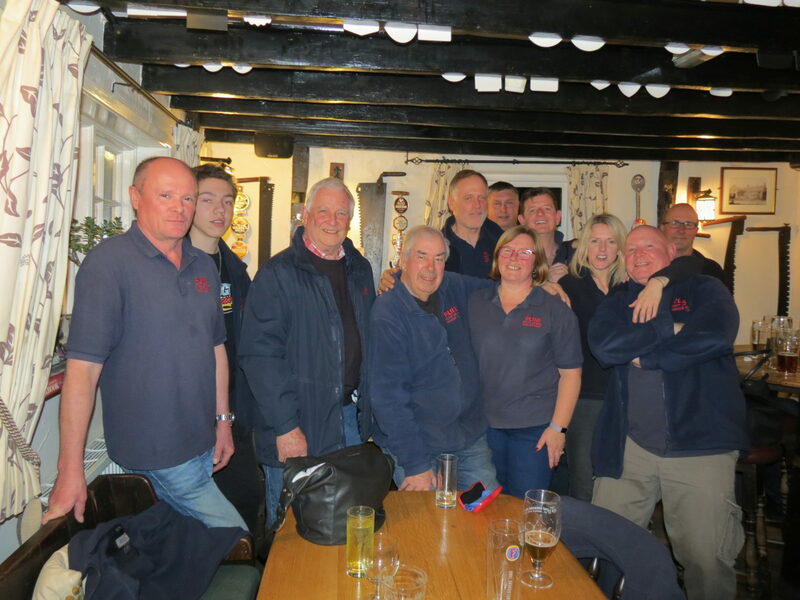 Everyone here at Pett Level Independent Rescue Boat would like to say a very big thank you to everyone involved in the Robin Hood Bonfire Society – this local community support is sincerely appreciated and makes a considerable difference to us. What’s more, we also appreciate having the chance to support the Robin Hood Bonfire display – it’s such a fantastic community event. Thank you for having us – to the presentation and to the bonfire and we’re already looking forward to 2019’s event going with a bang! On that note, a date for the diaries is Sunday 3rd November 2019, when the next Robin Hood Bonfire Display is scheduled to take place.